Beautiful custom build Colonial style home on 4.5 acres in the exclusive Kelly Air Park for aviation enthusiasts and private plane pilots. Craftsmanship abounds in the richly toned wood flooring, textured walls, brass fixtures, and detailed finishes. Formal living room and dining room boast stained glass windows and fireplaces. Spacious gourmet kitchen opens onto a walk out covered patio. 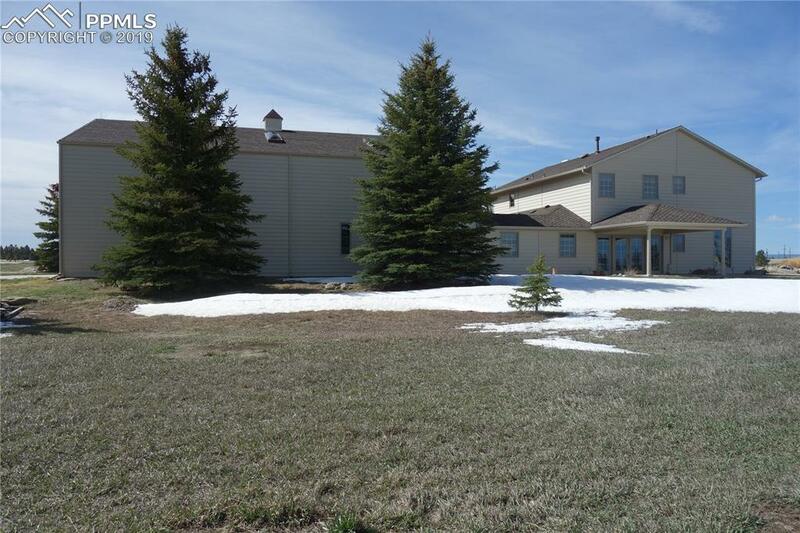 The home features a 3000 sq ft heated hangar off the breezeway with four car garage space, an upper level office and workbench area. A great room/family room which comfortably hosts a fireplace and tile flooring has a main level bathroom and guest bedroom off it. Entertain easily and in style - the formal dining room has access through a butlers pantry complete with built in fridge and brass sink. A majestic ceiling to floor stained glass window impressively accents the dining room. The formal living room off the entry hallway has a fireplace and french doors opening into the great room. This home's gourmet kitchen is gorgeous; with glass front lighted two-tone wood cabinets, double oven, gas stove, granite countertops and many extra details making it one of a kind. 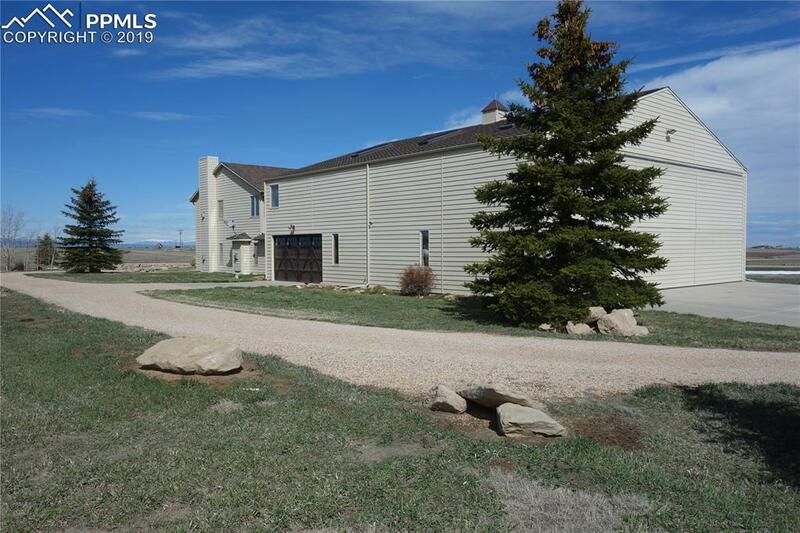 The wooden staircase takes you upstairs to a sitting area loft enjoying the views of Pikes Peak. Master Bedroom is truly majestic with fireplace, spacious sitting area and a luxurious bathroom with soaking tub and dressing area. Two large bedrooms and a full bathroom complete the upper level. The layout includes a breezeway off the lower level accessing the laundry room and hangar/garage. 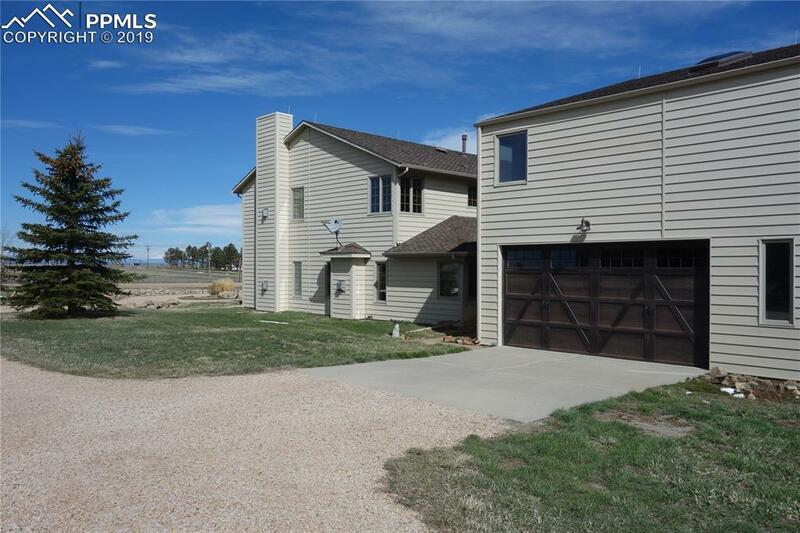 There is an upper level office complete with bathroom, sitting area and windows that show off the views of the Front Range. 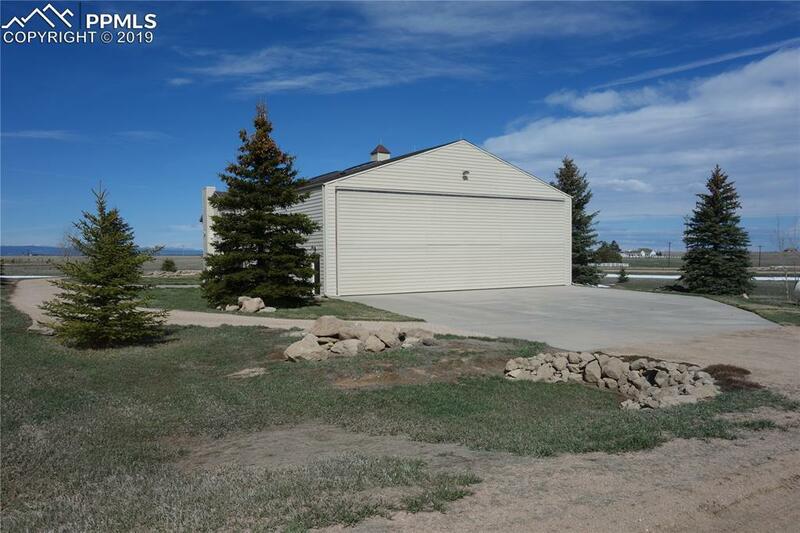 Within the 54 x 60 heated hangar are a workbench area, 4 car parking, RV storage and more.